As a genealogist you know how to collect records and how to look through them. 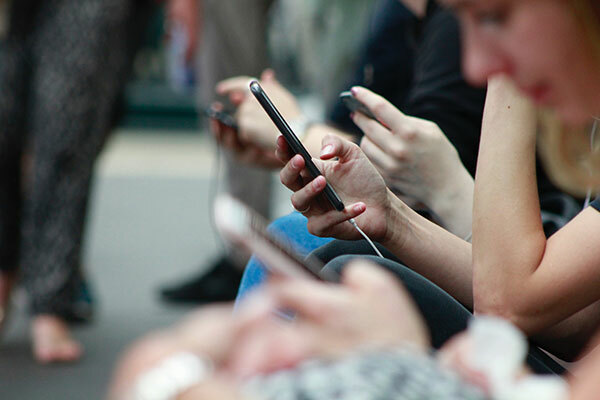 But how do you find the information you need when you’re searching for it online? 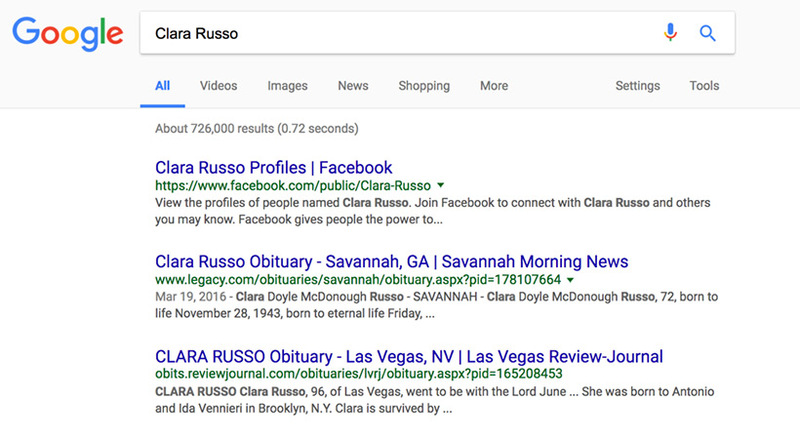 Let’s say you’re looking for your deceased grandmother: Clara Russo, so you Google her name. In .47 seconds you have about 726,000 results. — (Minus): Take away things you know won’t apply to her. For example, because she’s passed away without ever using a social media account there would be no reason why she would be on Facebook, so we can subtract the profiles on Facebook with her same name. 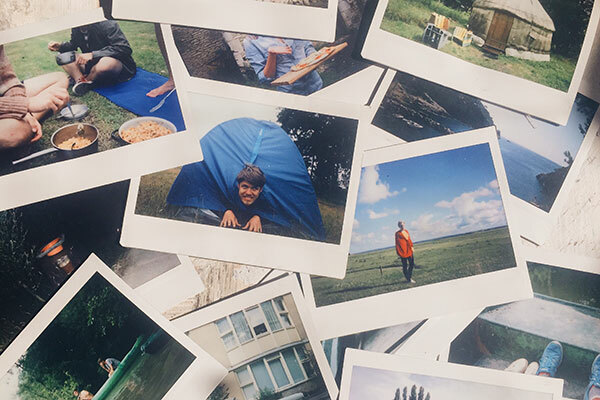 Are you curious as to why we minused the word profile as well? 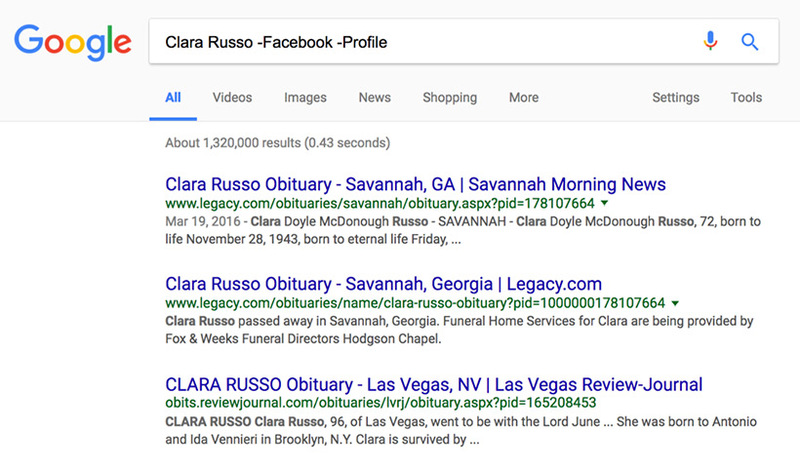 Typing in Clara Russo -Facebook Profile will give you a different result. 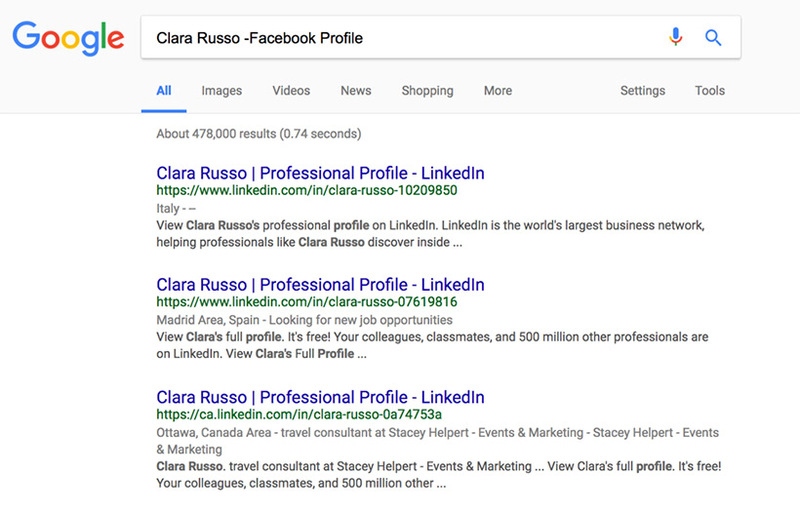 Without the subtraction sign in front of the second word, Google will read the phrase as: Clara Russo Profile -Facebook. So you’ll get results of all the profiles that have Clara Russo, minus Facebook. AND: Using the word AND means that Google will pull up the first phrase, and the second phrase. Meaning you can search for her married name, or her maiden name at the same time. 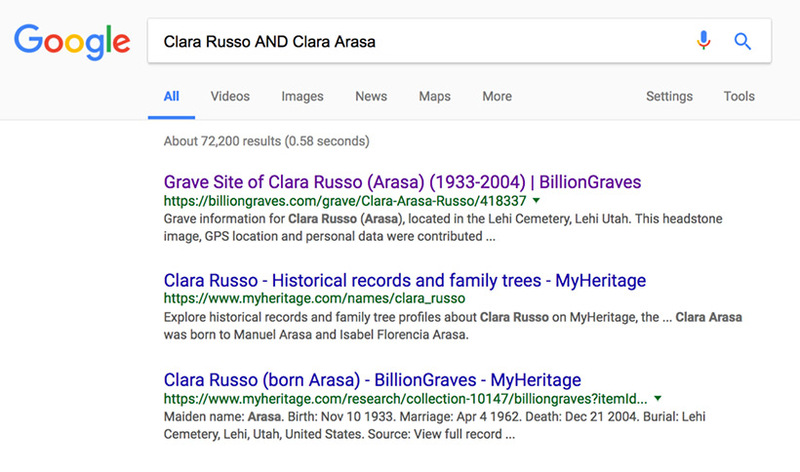 In this case, Google will bring up results with either the name Clara Russo, or Clara Arasa. We’ve managed to find the right person in this case. But what if the name is a bit trickier? 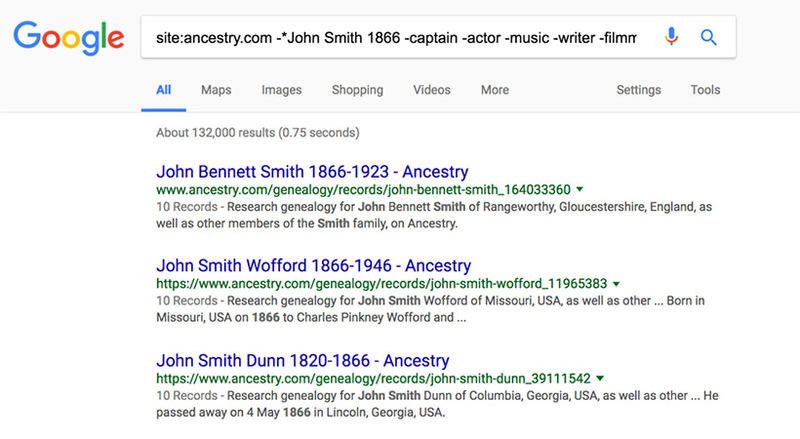 What if you’re searching for John Smith and it wasn’t anyone famous? 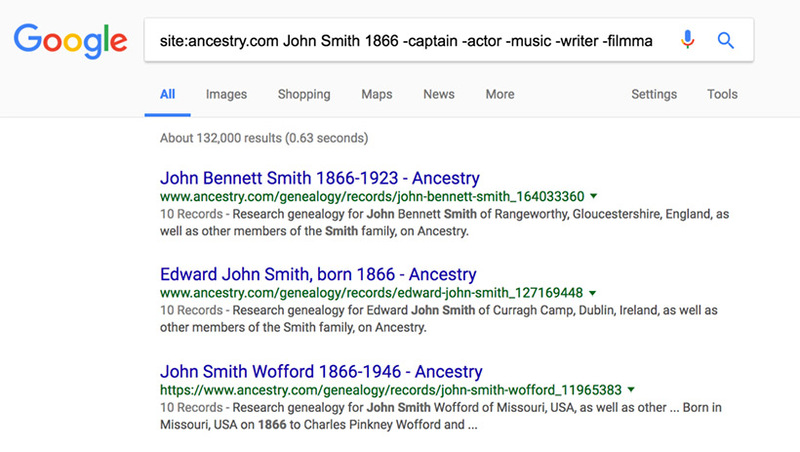 Below we’ve got the results for: John Smith -captain -actor -music -writer -filmmaker -sprinter -brewer -whitehouse -github -twitter -gifs -profile -breaker -senate -leadership -cafe -biddle -law and we could’ve kept going to narrow down the 312,000,000 results! While we could keep going with the minus sign, an easier thing for Google is if you tell it what you’re looking for and where. Site: Using Site: will let Google know that you’re looking for that name within a specific site. 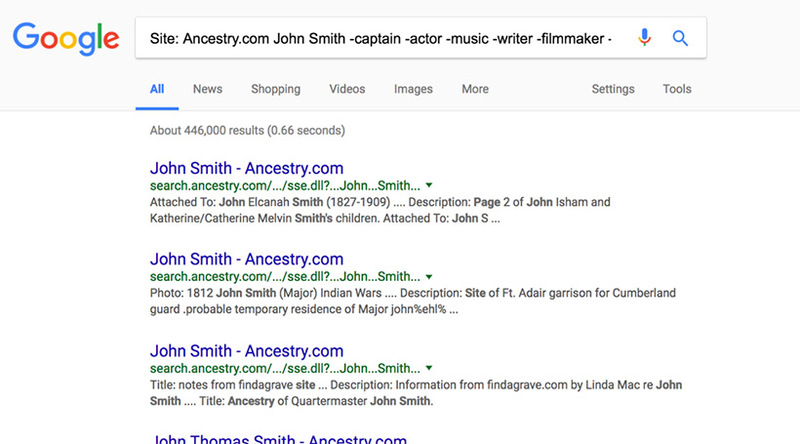 In this case we’re looking for John Smith in Ancestry.com so that’s what Google has pulled up. If we know what year we’re looking for we can help Google narrow the search even more. But now it’s bringing up other names aside from John Smith. So what do we do? * (asterisk): In order to get rid of any additions first names aside from John Smith we can use a - (minus) * (asterisk) at the beginning of the name. But how else can we use an asterisk? 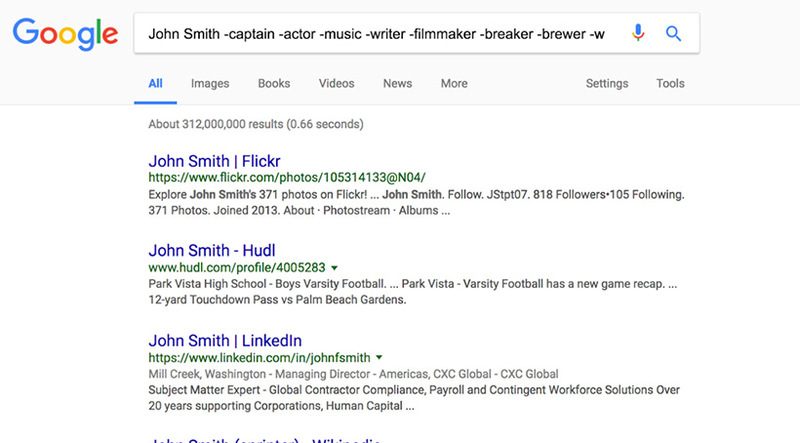 Asterisks, when used during Google searches, are place markers for a word or phrase. 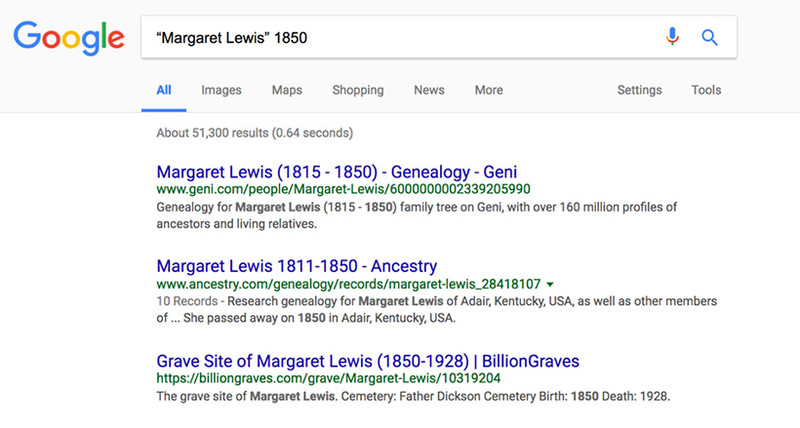 In our case we’re now looking for a Margaret Lewis that we know was born in the 1850s, but we’re unsure of her middle name. 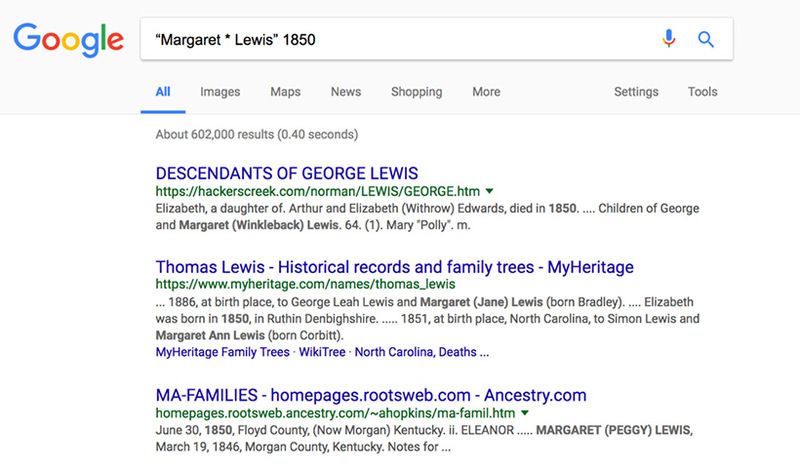 Putting her name in quotations and an asterisk in the middle lets Google know that we’re looking for the exact phrase (“Margaret Lewis”) with a variation in her middle name, which we can see in bold beneath the blue titles. What does the phrase look like without the asterisk? 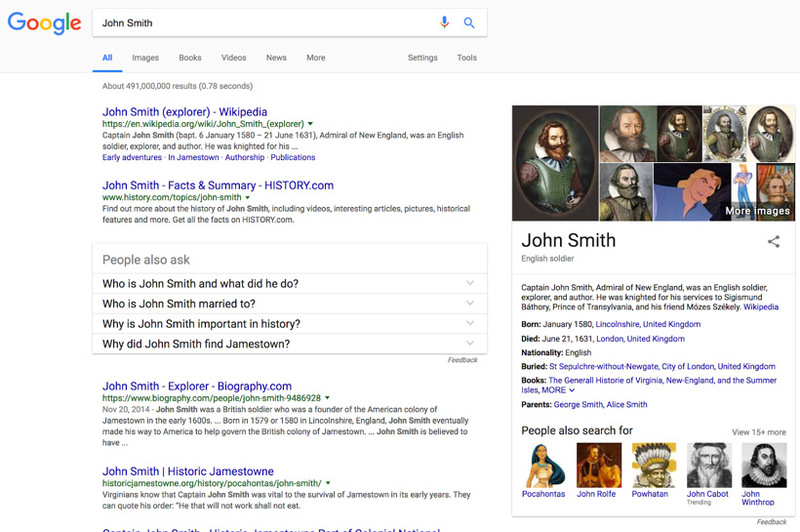 Quotes: When you type in a phrase (or in our case, a name) and put it in quotes Google will find that exact term in that exact order. If not, Google will find something similar to what we want. Stay tuned for our next post which discusses other ideas for searching for our ancestors online! 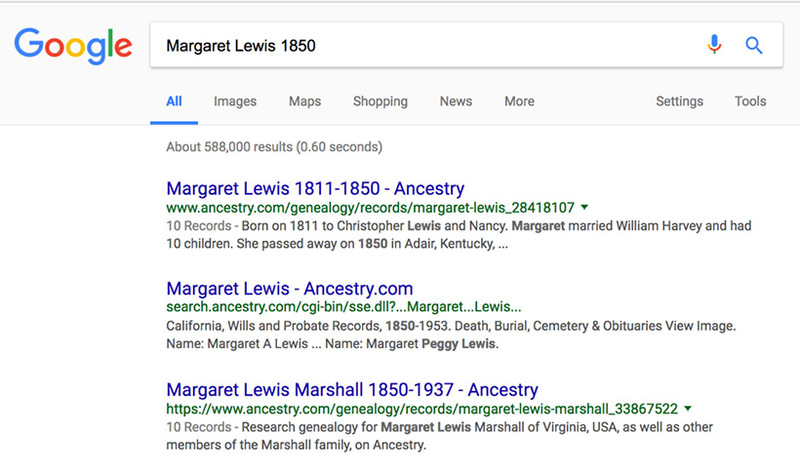 What tips and tricks do you have to make Googling your ancestors easier? Tweet us @RootsTechConf with your suggestions!